Creating the ultimate online dating profile takes a certain amount of effort, although the majority of men still tend to think that they can simply throw a bunch of words together and call it a day. However, in order to successfully attract a true British woman on an online dating service you have to have an attractive dating profile to begin with. 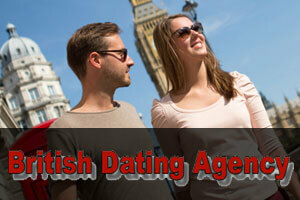 To make your online dating profile extremely popular, you need to make it perfect. There are a couple of easy steps which you can follow in order to achieve “profile perfection,” but you can also tweak them to your own convenience and taste. People come in various forms, shapes, and characters, so you should strive to make your UK dating profile exceptional but still in cahoots with your own personality. Even if you really are a guy who likes drinking wine in front of a fireplace, or taking long walks on the beach, you should avoid stating these corny statements on your dating profile. Otherwise, you might become the owner of the most unpopular profile on the dating site of your choice. Instead, you should try going for something more original, personal and unique. Naturally, if you seem like a person who has a lot of sociable hobbies, friends, and acquaintances, you’ll be far more popular than those who come off as loners. Women like men who are capable of broadening their interests and who are not afraid to try out something new, preferably with their friends. When choosing a profile picture, as well as other photos of yourself, be sure to pick some awesome action shots of yourself. Profile pictures which show guys doing something interesting, like playing an instrument, running, or scuba-diving (even if their faces aren’t seen) attract more women than those who just show someone’s face. When talking about yourself, make sure to avoid sounding negative. No women wants a grumpy guy in her life. Trying to write in slang like a cool school kid will only attract kids themselves, and you certainly don’t want that. Women find poor grammar and spelling a major turn off. To get a lot of profile views, you should check out other people’s profiles as well. Give likes, flirts, or pokes to women you like in order to attract their attention. “Broadcast” yourself as much as you can in the most positive way possible. However, make sure you don’t go over the top either. Sometimes people who are close to us know us better than we know ourselves. Get a friend to help you with your dating profile, a female friend if possible. That way you’ll know the objective truth. Your online dating profile is like your love resume. You wouldn’t lie to your potential employer in your CV, so you shouldn’t be lying to your potential partner either.